DURHAM, N.C. (AP) — Houston Kidd, a self-proclaimed "astronomy nerd," will soon have a brush with outer space. BALTIMORE (AP) — Baltimore's embattled mayor and five of her staffers are now on paid leave amid a scandal over book sales. BALTIMORE (AP) — A spokesman for the embattled mayor of Baltimore says she'll return from her leave of absence as soon as her health allows. TYNGSBORO, Mass. (AP) — Back in December, Hannah Sheridan was inspired to create a children's book based on a story her 2-year-old niece, Jane Santoro, shared over dinner one night. NEW YORK (AP) — Candace Bushnell's next project is a book for the #MeToo movement. NEW YORK (AP) — The million-selling "Questioneers" team of author Andrea Beaty and illustrator David Roberts has an Election Day special planned. ANDOVER, Kan. (AP) — A Kansas public library has rejected a request to move three children's books with LGBT characters out of the children's section. The Andover Public Library board of directors voted Wednesday to keep children's books "George," ''Lily and Dunkin" and "I am Jazz" in the juvenile section. All the books included characters that are transgender. News outlets report 75-year-old Mora Gregg was cleaning her apartment in Toronto, Canada, last month when she discovered "The Postman," a children's book about the journey of a girl's letter. Stamped inside the yellowed book are the words, "Property of Silver Spring Library." 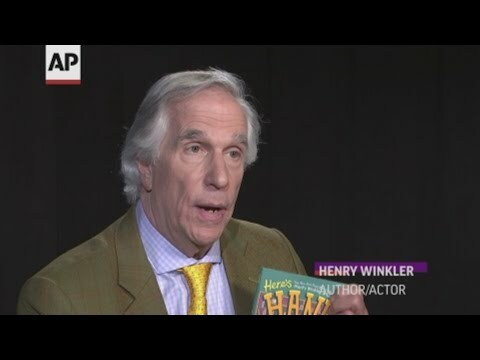 NEW YORK (AP) — Things are coming full circle for Henry Winkler in many ways. ORANGE CITY, Iowa (AP) — A trial has been scheduled for an Iowa religious activist who's accused of burning four LGBTQ children's books he'd checked out of a local library. CONCORD, N.H. (AP) — Ten organizations that provide literary programs to rural, low-income and at-risk children in Vermont and New Hampshire have received funding for storytelling sessions and other projects. COLUMBIA, S.C. (AP) — It worked then, as South Carolina rose from an 0-11 season to post 17 wins and back-to-back Outback Bowl victories. "There's always been that stigma of USC not belonging in the SEC, and guys from the Lowcountry can't play football. That's just not us," said Langston Moore, a James Island native, South Carolina football letterman and now published author. OCEAN CITY, Md. (AP) — A breezy December afternoon doesn't deter an orange kitten from running around Ocean City. He digs holes in the sand, climbs over dunes and makes his way up to Marty's Playland arcade on the Boardwalk. He explores the Skee-Ball machines while passersby smile and giggle watching the cat walk up and down the games. ALBUQUERQUE, N.M. (AP) — The 81-year-old author is often called a dean of Chicano literature. The illustrator is a younger muralist steeped in the visual traditions of Mexican-American pop culture and low-rider cars. ORANGE CITY, Iowa (AP) — A northwestern Iowa religious activist who burned four LGBTQ children's books he'd checked out of an Orange City library has been charged with misdemeanor criminal mischief. STARKVILLE, Miss. (AP) — For the past five years, the Homestead Education Center in Starkville has raised money for community initiatives through its Holiday Helping Hands Project — everything from helping a child with cancer to saving a family's home to putting a roof on a community center. But this year's project is, quite literally, the most creative project yet for Homestead director Alison Buehler. ORANGE CITY, Iowa (AP) — Library officials in northwest Iowa are deciding how to respond after a religious activist burned four LGBTQ children's books. Orange City library director Amanda Vazquez told The Sioux City Journal that officials aren't sure if they'll replace the destroyed books. NEW YORK (AP) — Ling Ma's apocalyptic debut novel "Severance" and Rebecca Solnit's essay collection "Call Them by Their True Names" are among the winners of the Kirkus Prize. Trade publication Kirkus Reviews announced winners Thursday in fiction, nonfiction and young readers' literature. Each receive $50,000. The other recipients are author Derrick Barnes and illustrator Gordon C. James for the children's book "Crown: An Ode to the Fresh Cut." San Diego police say boxes left outside a downtown building that prompted its evacuation had nothing suspicious inside them. The San Diego Union-Tribune newspaper reports that police Lt. Kevin Wadhams says the packages contained one shoe, two children's books, a football, one empty bag of chips and a hat. The winners chosen by a nine-member panel were honored Saturday in Indianapolis. They include the National Author Winner, Kimberly Brubaker Bradley, who received a $10,000 prize. The Fort Wayne native lives in Tennessee and has written 17 books for young readers. MANCHESTER, N.H. (AP) — Library officials in Manchester say they will stop issuing late fees for children's books in order to encourage children to return to the library. CINCINNATI (AP) — The Cincinnati Zoo director will serve as this year's grand marshal of Oktoberfest Zinzinnati. 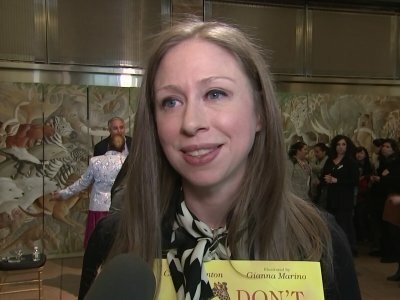 Thane Maynard has a children's book out about the inspirational story of the zoo's successful efforts to save the prematurely born hippo Fiona. He was also in the spotlight for the zoo's 2016 killing of the gorilla Harambe after a small boy got into his enclosure. NEWARK, N.J. (AP) — Justice Sonia Sotomayor says reading helped her reach the Supreme Court. Sotomayor on Sunday celebrated the release of her two children's books by speaking to parents and children at the Newark Public Library in New Jersey. NEW ORLEANS (AP) — Once upon a time, in 2015, a writer in San Francisco named Michelle Tea got the idea for "Drag Queen Story Hour": men in full drag reading children's books to kids and parents in programs aimed at providing "positive and unabashedly queer role models." BARRE, Vt. (AP) — Jamie Heath got her wish. Now she's working on her dreams. Heath knows better than most it doesn't always work out that way, but the improbable ambassador for the Make-A-Wish Foundation — a 17-year-old with a passion for turtles, a children's book hot off the presses and a future that grows more certain by the day — is loving life right now.